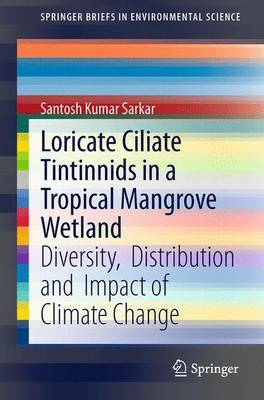 This book is an integrated approach to present a detailed case study in order to address the taxonomic and ecological features of this planktonic choreotrich protists in an iconic tropical mangrove wetland - Sundarban. To identify each tintinnid species, emphasis is given with regards to taxonomic features accompanied by high resolution images. This work explores the interaction between man-induced stress and the impact of climate change which is threatening the tintinnid biodiversity, and suggests, for example, remedial measures by adopting sound management strategies. Tintinnids (Protozoa: Ciliata: Tintinnida) are a coherent group ecologically recognized as micro-zooplankton. They deserve special attention because of their unique biodiversity and their crucial, functional role in the marine food chain. This is a valuable reference source for students, researchers, policy planners and coastal managers engaged in the field of marine biology, microbial ecology and marine bio-resources.